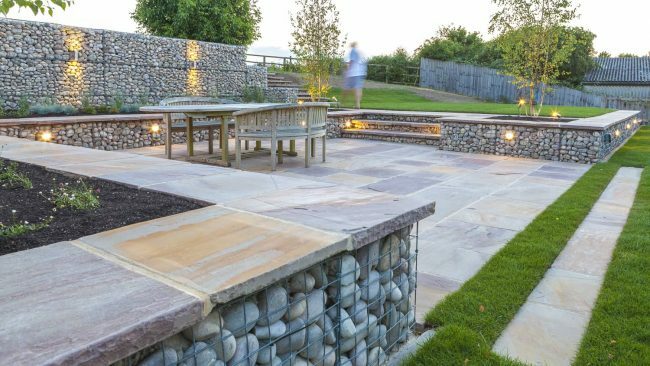 Enhance your outdoor space by adding a patio to eat out and entertain on during the summer months. There are many different styles of patio to choose from. 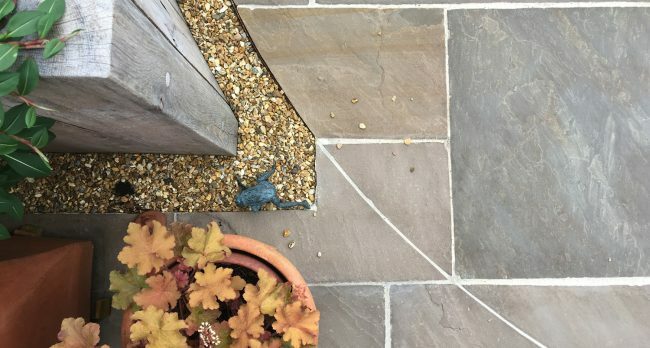 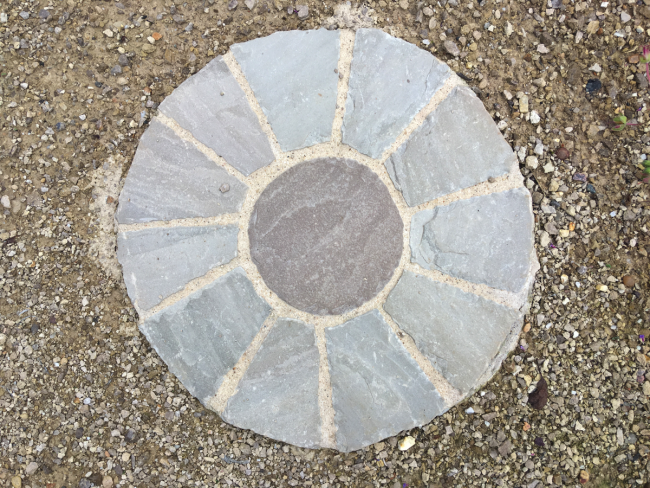 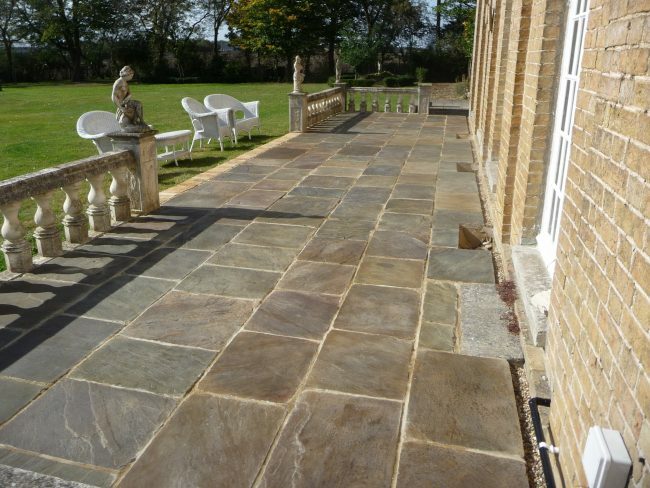 We can advise on the best choice of stone or paving – and ensure it is laid properly on a level foundation. 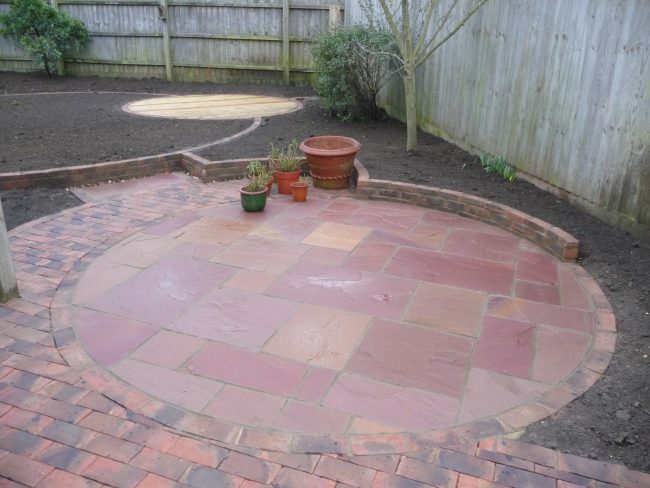 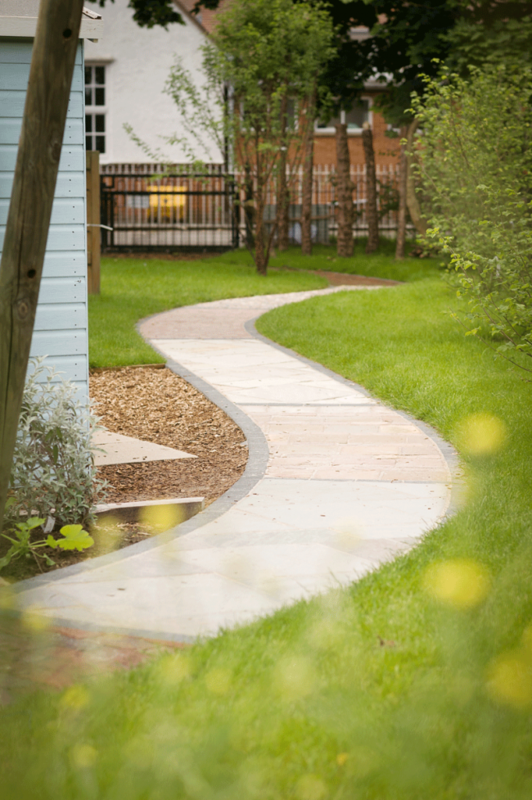 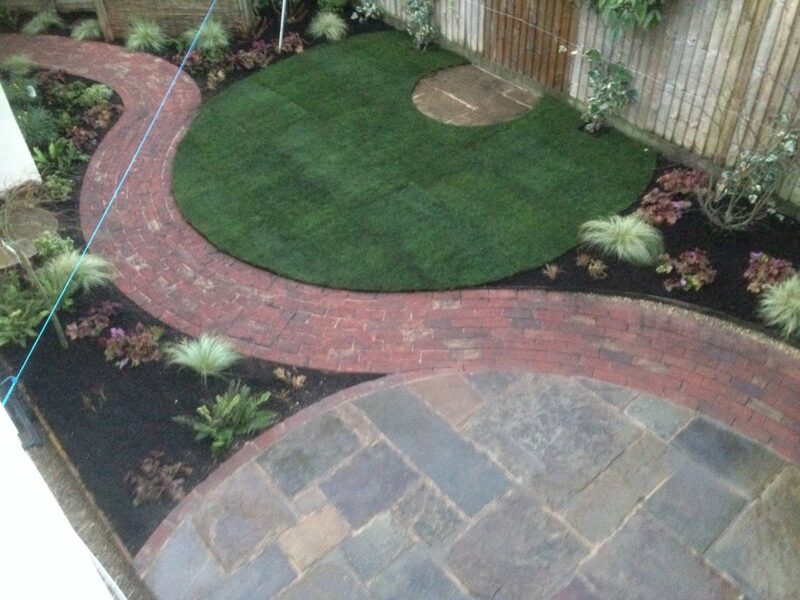 We can build retaining walls, raised beds, steps and paths to complete your garden layout. Alastair and Juliet Compston, Horseheath. 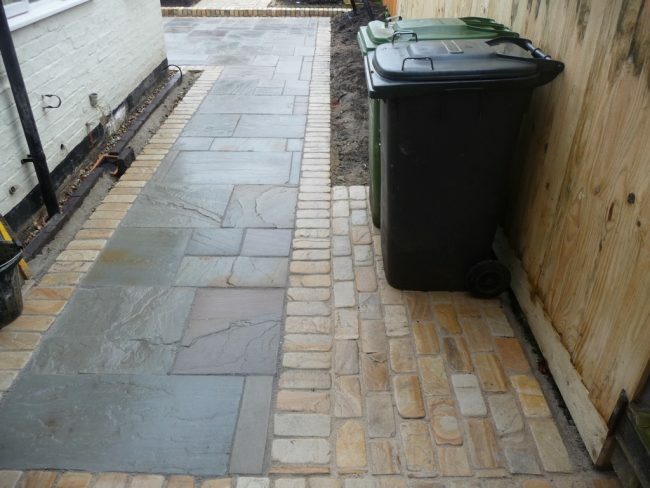 We build our patios using many different types of paving. 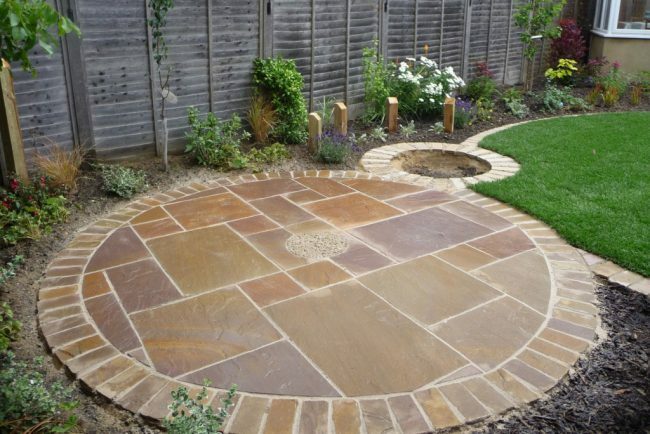 The standard is Indian Standstone illustrated in the picture above. 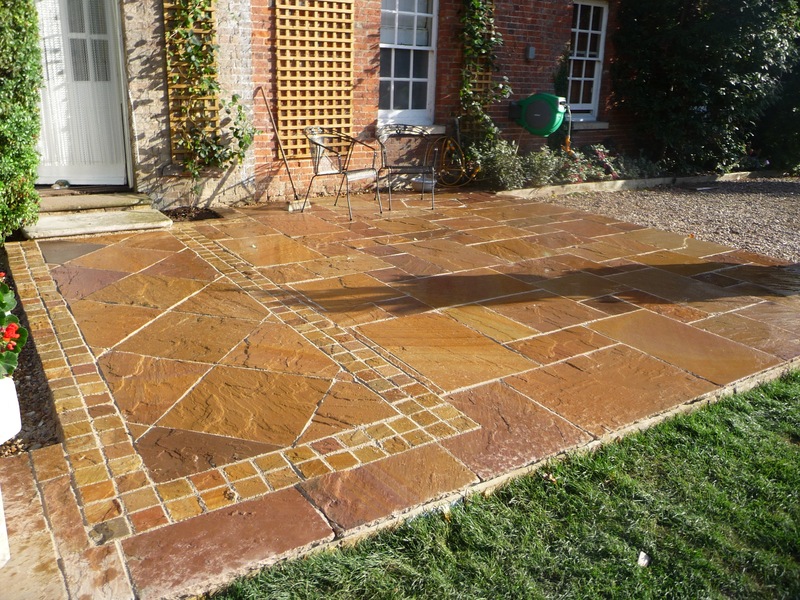 We also use a premium manufactured product called Farmcote illustrated to the left. 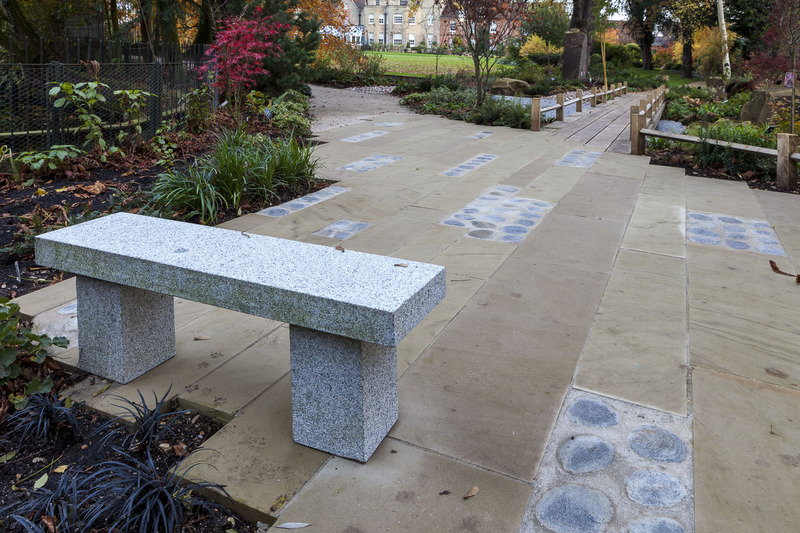 For a really exclusive and hard-wearing finish, we have built with top grade Yorkstone. Decking is a popular alternative to patios and can often be constructed quickly with minimum disruption. 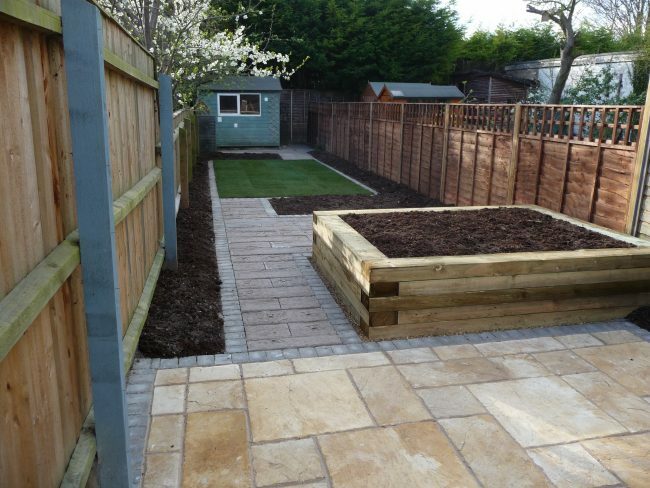 We have built large and small decks. 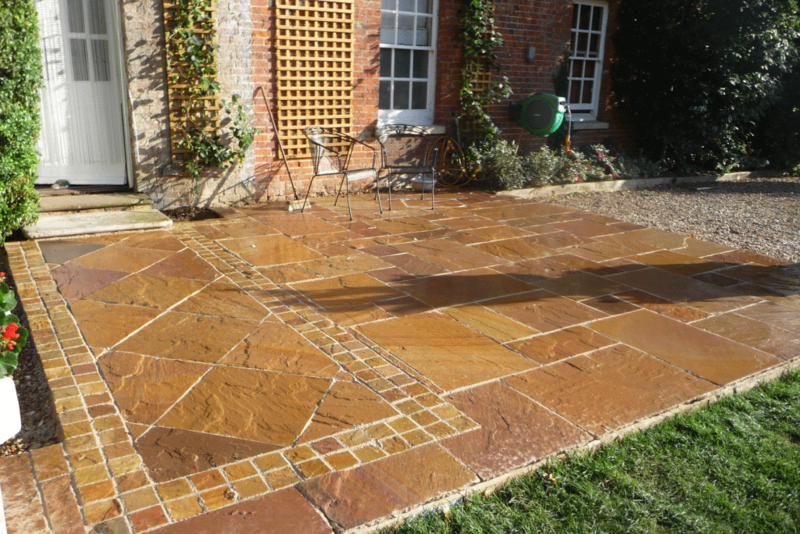 Why not add a pergola or water feature to really make the most of your new patio or deck?